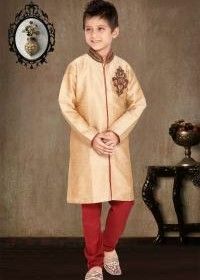 Traditional wear holds a very special place in Indian culture. 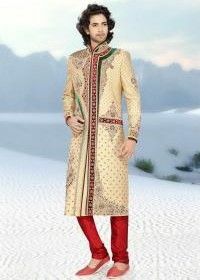 It can be rightly said that most ethnic attires have a cultural significance. For women, there are several traditional outfits to choose from. Salwar Kameez is one traditional outfit which is very popular. Salwar kameez is highly preferred by women because of its comfort level and flexibility. This particular outfit is available in all fabrics. Be it cotton, silk or Georgette, you can get salwar kameez in all materials and patterns. Traditionally, salwar kameez consists of a kameez, salwar and a dupatta but you can experiment with the pattern by choosing different bottom styles and kameez patterns. 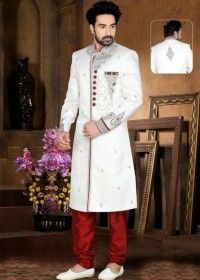 The best part about salwar kameez is that it suits every body type. Simple and classy to the core, salwar kameez is one attire which can be worn by women of all ages. 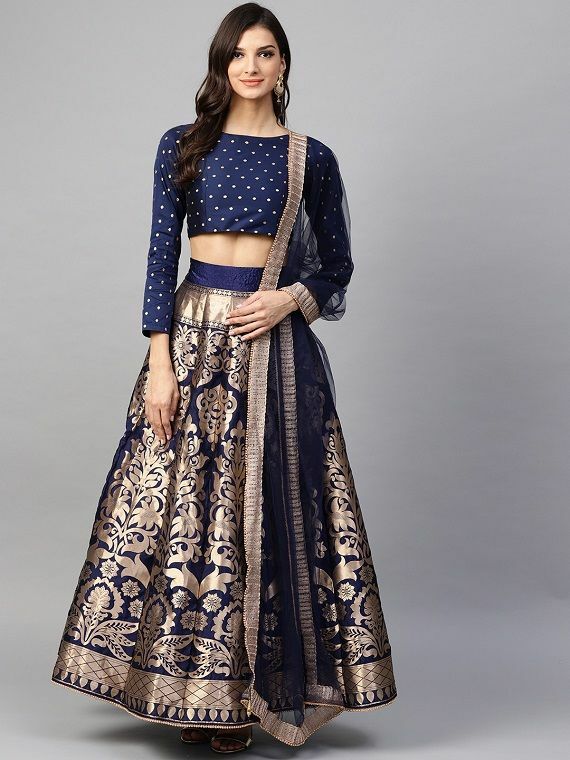 Additionally, this outfit is fit for festivals as well as wedding events like sangeet ceremonies, engagement ceremonies, etc. Women are usually not sure about wearing salwar kameez to parties. However, these days there are many styles in salwar kameez which are ideal for parties as well. Georgette salwar kameez works the best for parties. Georgette as a fabric is light-weight and also gives a sheer feel. If you are looking out for a party wear ethnic attire then opt for a Georgette outfit. Here are some features of the Georgette material. Georgette is a light fabric and is extremely comfortable for the skin. Outfits made of Georgette are ideal for all weather conditions. Especially for summers, Georgette works the best because the material is breathable and soft. With a bit of layering, you can don this fabric for winters too! With Georgette, you can experiment to no ends. Georgette is available in all colours and tones which makes it very flexible. Even if you are opting for stitching, Georgette works the best. Georgette salwar kameez looks apt for parties and evening events. Most people find it difficult to clean and maintain ethnic attires but Georgette is very easy when it comes to maintenance. If you are someone who cannot invest a lot of time maintaining the outfits then Georgette is the best. Georgette doesn’t need much ironing too because the texture is such. Moreover, even if you wash the outfit it dries off quickly. All in all, one doesn’t need to stress much when it comes to handling Georgette, unlike other materials. Georgette is soft and flowy and is perfect for drapes as well. If you need a dress which has drapes and layers then go for Georgette without a second thought. Moreover, even when it comes to stitching, Georgette is easier. Outfits are meant to be worn and once they are outdoors they will face dust and germs as well. Georgette is the most convenient fabric to opt for because it is strong texture wise and can also handle embellishments and other add-ons without getting damaged. Georgette salwar kameez for women are easily available online too. Instead of going for the common designs and patterns you can also try Indo-western designs for your Georgette salwar kameez. Here are some latest salwar suit designs which you can opt for. Women usually opt for Georgette salwar kameez when they want to wear the same for parties. Ditch the shiny embellishments and go for stripes. Stripes not only look amazing on flowy dresses but they also give a modern touch to the ethnic trousseau. Choose the colours wisely when it comes to this print. These days wearing striped bottoms is also very much in vogue. Go for striped palazzos or straight pants and team it up with a plain kameez. If you are not sure of what print to opt for then simply go for an ombre effect. Ombre is nothing but the steady blending of one colour from its light to dark hue. With ombre, you don’t need to worry about the print because the colour here is the highlight. Select the colour which suits the vibe of the occasion so that your outfit looks perfect. The best shades for ombre on a Georgette salwar kameez are orange, blue, green and pink. Florals have taken over the fashion market like no other print. For Georgette outfits, florals work the best because they also blend with the texture of the material. Choose bright colours for florals and you are bound to turn heads at an event. This particular print is apt for both daytime events and evening occasions. Make sure the print is not heavy on the eyes and is appropriate for the dress pattern too. It is best to go for minimal floral prints if you are confused about the print. Opt for colours like pink, yellow, blue, peach, etc when going for a floral print. Georgette is perfect for adding elements like tassels and pompoms. This fabric is strong enough to hold these decorative elements effortlessly. If you don’t want to go for prints then you can give a festive vibe to your outfit by adding tassels or pompoms. However, it is not recommended that you add both these elements together. Choose either tassels or pompoms and you are good to go! In the case of salwar kameez, you can add tassels or pompoms to the dupatta too! Even a plain outfit can look beautiful with the addition of tassels. 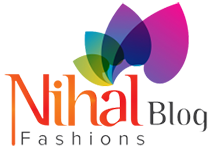 You can get mind-blowing Georgette salwar kameez at Nihal Fashions. Shopping online for salwar kameez is a bliss because it saves your time and money both. Moreover, you can get innumerable varieties on one single platform. 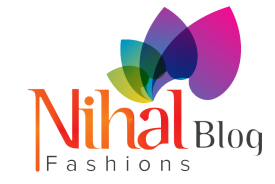 Nihal Fashions has some amazing discounts and festive offers too which make your purchase budget-friendly. Additionally, you need not worry about the size too because Nihal Fashions has something for everyone!